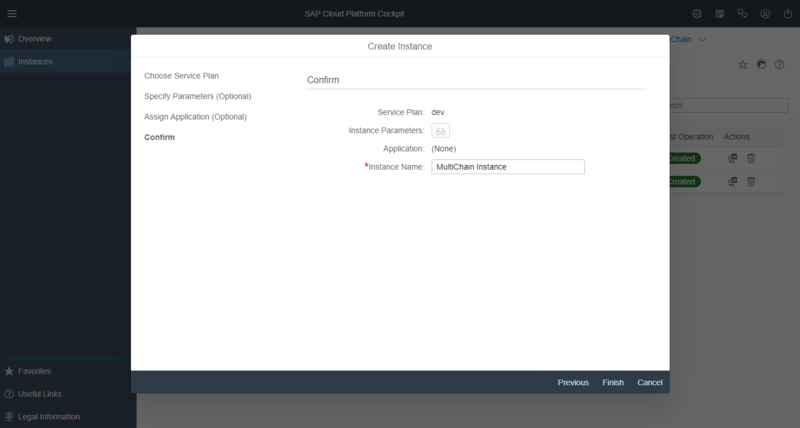 Efficiently create and deploy MultiChain development service instances and nodes using a dedicated SAP Cloud Platform Cockpit. Use node addresses, access URLs, and APIs to create "connect_url" parameters, enabling you to rapidly and securely build your MultiChain networks. Use the MultiChain dashboard to access a complementary range of Blockchain Parameters specific to your node. Make use of the Transaction, Blocks, Streams, and Assets sections of the dashboard to give you a full insight into your MultiChain development. Grant connect, create, send, mine, receive, activate, issue, and admin permissions to specific node addresses in your network. Connect SAP business processes to a blockchain network that is provisioned and operated externally. The MultiChain service lets you create, delete, monitor and maintain individual MultiChain nodes and connect them to a blockchain network. 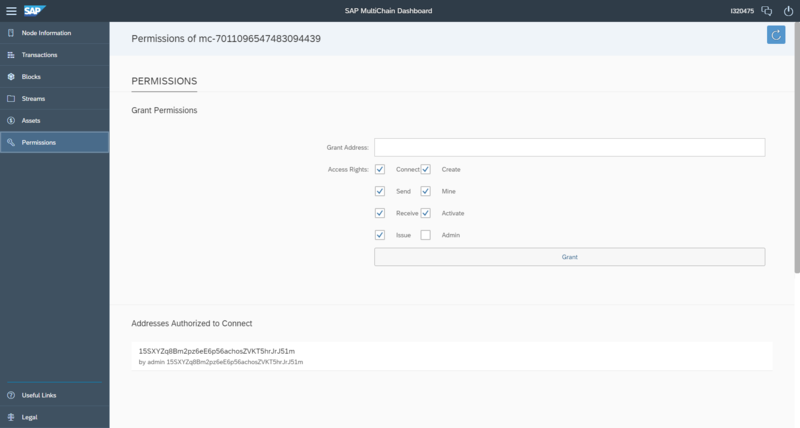 Create MultiChain nodes and connect them to a blockchain network. Deliver blockchain-based services on any connected blockchain technology.